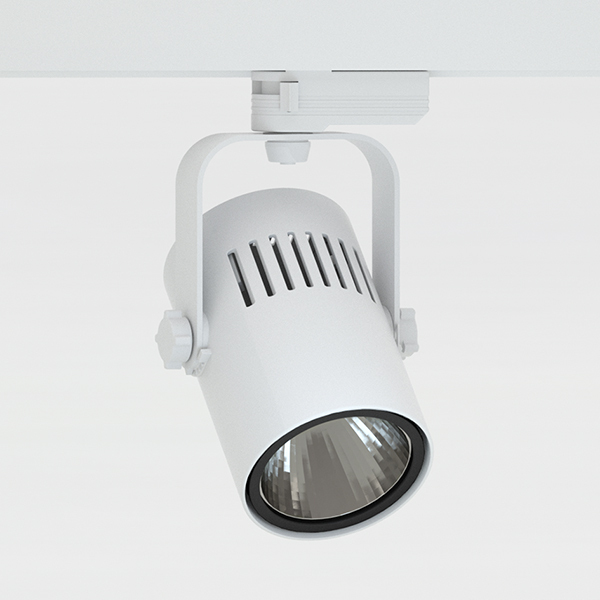 LED Track light with incorporated electronic gear and Chip on board. High quality lenses with three different beam spreads. Lamp housing of die-cast aluminum for optimal cooling, long lifetime and low weight. Designed with a black front ring for a modern, sleek look.